Supervision is offered in Newcastle Upon Tyne and Wallsend. 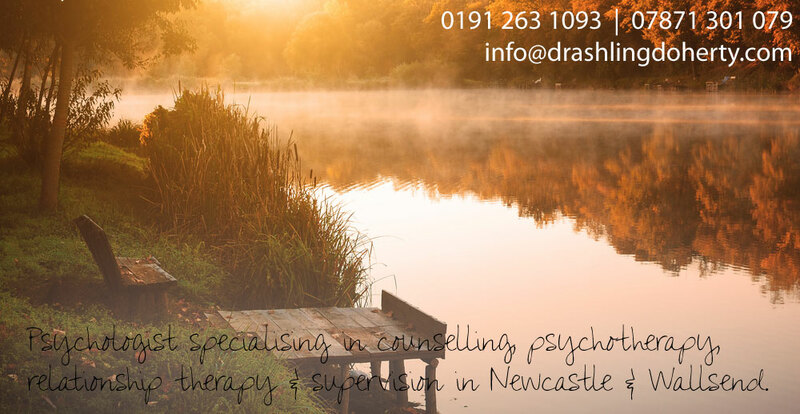 Counselling Supervision is suitable for a variety of professionals; trainee and qualified counsellors & psychologists, health professionals and supervisors. As a supervisor I provide a safe, supportive, confidential and reflective environment where you can explore the dynamics of your therapeutic work with clients. 1. Reflection on the content of therapy sessions between you and client. 2. Exploration of the strategies and interventions used by you. 3. Exploration of the therapy dynamics and therapeutic relationships. 4. Focus on your counter-transference. 5. Focus on our supervisory process as a parallel to the therapy process. 6. Focus on my supervisor’s counter-transference. 7. Focus on the wider context such as the organisation you are working in. The cost of your first appointment is £25.00 for one hour. Supervision after this is charged at £40.00 per hour. “Supervision can be a place where a living profession breathes and learns”. Hawkins and Shohet from Supervision in the helping professions.